For many beauty lovers, NYX has become the go-to brand for great quality, on-trend inexpensive makeup. Their newest line, NYX LUV Out Loud Lipstick was inspired by the brand asking: What qualities make a person beautiful? For them, the answer was passion, confidence and fearlessness, to name a few. 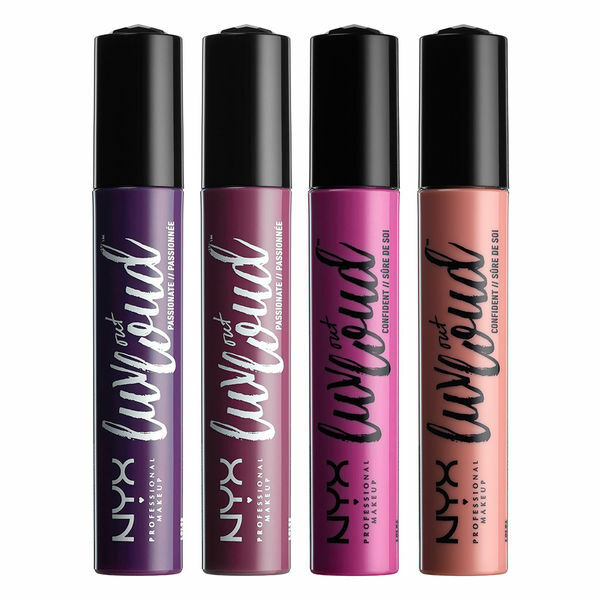 NYX LUV Out Loud Lipstick is a line of 6 shades. All bold and vivid. There are two pink nudes, bright pinks and vibrant purples. NYX LUV Out Loud Lipstick are velvet mattes and are great for when you want to have a lip that makes a statement. Note: There are four shades shown in the photo above, but there are six in the collection. Passionate, (shown, on the left) was my favorite. This is a medium, warm violet shade. It was perfect for when I wanted a bolder lip that wasn't pink or red. Many of the shades in this collection are perfect to transition to a brighter or darker lip for Fall as well. The texture is creamy and lightweight. The color glided on my lips easily without streaking, and set within seconds. Since the finish is velvet matte, it has a matte appearance that didn't look dry or cakey. The liquid lipstick had good wear throughout the day, even after eating/drinking. I only reapplied about once on average to bring back the vibrancy, although the stain of the color did remain (all the shades are very bright when first applied). 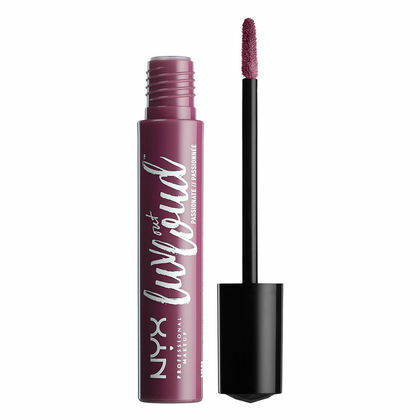 The formula is very pigmented, so just a light swipe gave me the exact matte color in the tube. It's not necessarily designed to be an hydrating lip product, so I found a light layer of lip balm or lip primer, like the SEPHORA COLLECTION Beauty Amplifier Lip Primer allowed my lips to feel moisturized all day. *This product was provided courtesy of NYX PR for reviewing purposes.